A classic never goes out of style. Like that white lace tablecloth passed down from my grandmother or my father’s set of crystal martini glasses, these retro recipes still look amazing on my table today. 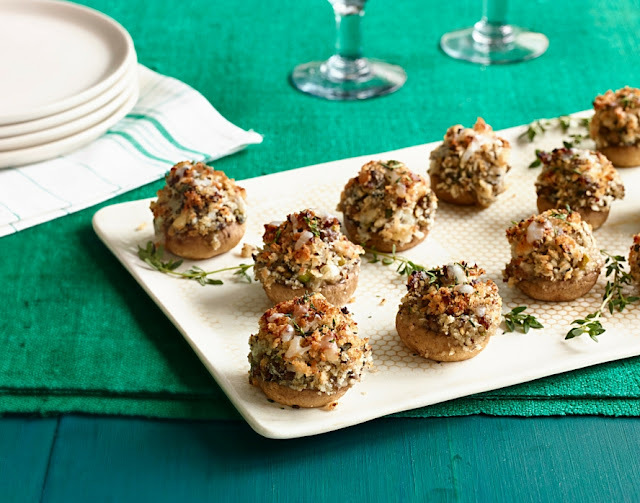 Nostalgic dishes like a Yule log, stuffed mushrooms and cheese balls serve up a little bit of old-school Americana but still feel modern—and taste delicious!—in a holiday spread. This year, our beloved Yule log is looking extra festive in Santa’s colors. 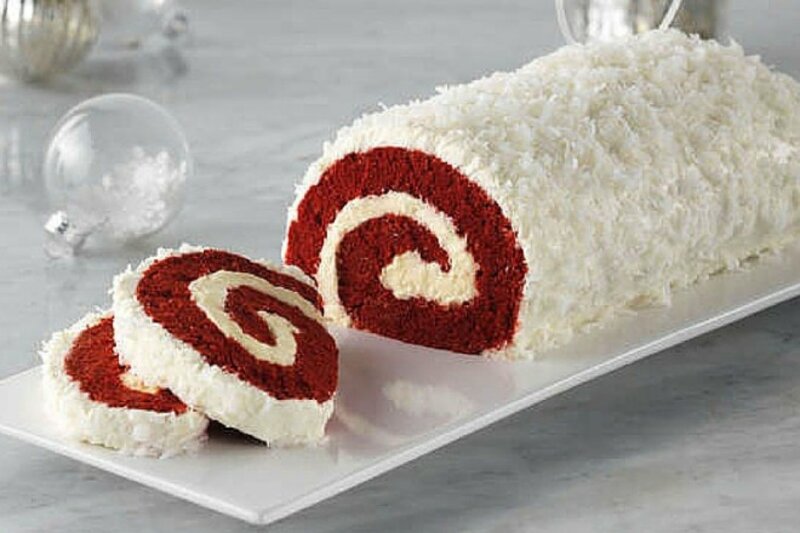 Chocolatey, rich red velvet cake is a show-stopper rolled with a fluffy filling featuring JELL-O Cheesecake Flavor Instant Pudding and COOL WHIP Whipped Topping. Finished off with a super-simple cream cheese frosting and a little blizzard of BAKER’S ANGEL FLAKE Coconut, this is the kind of white Christmas I’ve been dreaming of. This classic dip has been a staple for just about any gathering of family or friends since the baby boomers were born. You know why? It never gets old. 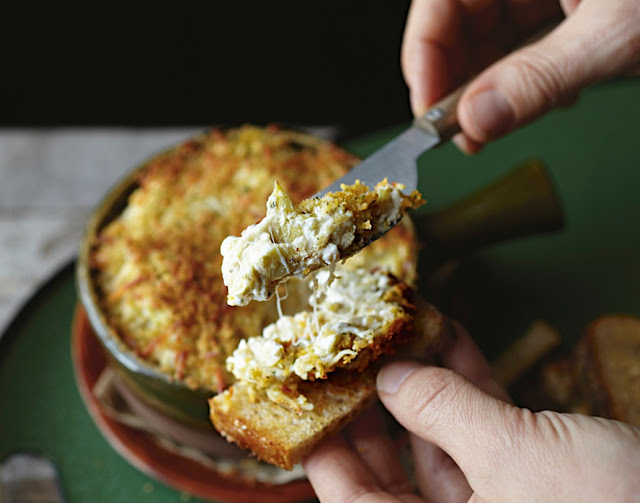 The poodle skirt may have faded into history, but thankfully we still have this cheesy, crunchy, savory dip. 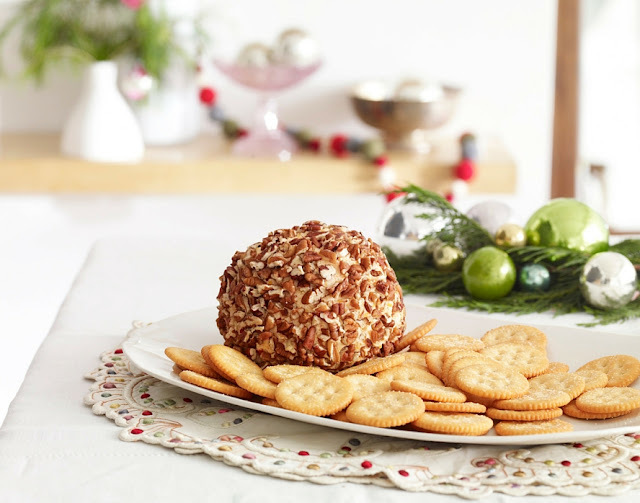 Once the height of party-hosting prowess, the cheese ball is no longer a novelty—but that won’t diminish anyone’s excitement when they see it sitting pretty at the center of the appetizer spread. Creamy and crunchy, this cheese ball is our holiday gift to you. With its characteristic green color (thanks to pistachio pudding mix), this retro salad harkens back to a time when avocado-green cabinets were the pinnacle of kitchen decor. Fortunately, this sweet and nutty salad tastes as delicious today as it did when it was born. Once upon a time, Americans discovered the joys of “Polynesian-style” Asian-American mash-ups and crab Rangoon was born. Crab dip is fabulous, but these crunchy, creamy crab-filled cups are simply sublime. Long live Tiki! Nothing says “Party at my Great Aunt Bea’s house!” like stuffed mushrooms. 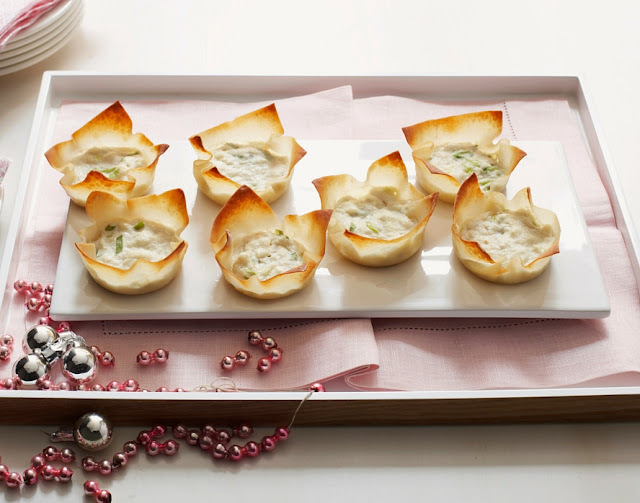 This elegant appetizer has been a cocktail party favorite for generations because it just tastes so good. Plus it’s easy to eat with one hand, leaving the other open for toting a beverage or wildly gesticulating over cocktail-hour conversation. Just don’t try both at the same time. 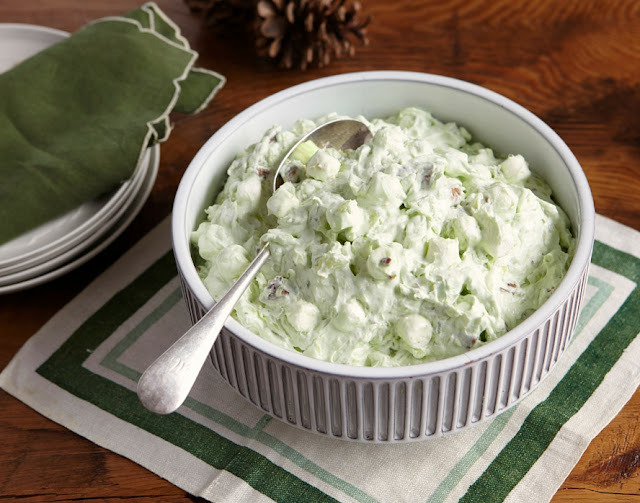 My mother LOVES that Watergate salad and has to have it every Christmas....along with ambrosia! It's just not Christmas without these 2 things for us. All of these look so yummy, especially the Red Velvet Yule Log...YUM!! Hugs!! All great recipes, but that yule log is really calling my name! That cake is just beautiful, and I love all of the other recipes too! Great, now I am hungry! Thanks, Christine. ;-) These all look great!